well unless something changes for my area..once again..no rain here whew. 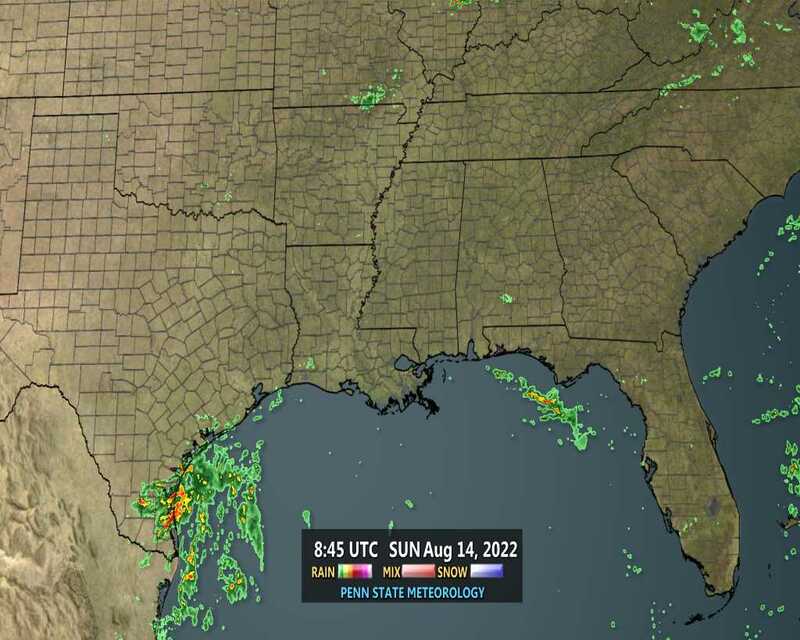 LargoFL wrote: NWS for Saint Augustine FL..................................this Afternoon Showers and thunderstorms likely before 3pm, then showers likely and possibly a thunderstorm between 3pm and 4pm, then a chance of showers and thunderstorms after 4pm. Mostly cloudy, with a high near 90. Heat index values as high as 101. Southwest wind around 10 mph. Chance of precipitation is 60%. New rainfall amounts between a tenth and quarter of an inch, except higher amounts possible in thunderstorms. TonightA 30 percent chance of showers and thunderstorms, mainly before 9pm. 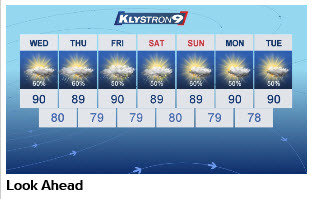 Mostly cloudy, with a low around 76. Southwest wind 5 to 7 mph. That is funny... this Afternoon Showers and thunderstorms likely before 3pm, then showers likely and possibly a thunderstorm between 3pm and 4pm, then a chance of showers and thunderstorms after 4pm. LOL Jr. I thought the sane thing, wrh are they saying?' Covering all the bases I guess. Why do the weather people say it's beautiful? It's not beautiful! Haha JR. Yeah, the NWS forecasts are interesting at times when they get down to that hourly crap. Just say there's a X% chance of thunderstorms in the afternoon. Deeper southwesterly flow today pushed everything through fairly quick. I had a brief burst of heavier rain for a spell before it moved out. About 1/3rd of an inch in the gauge. A nice overcast with extremely light sprinkles and much cooler temps in the 70's have been in place for the past couple hours. The even funnier thing about those forecasts is some folks believe it like Gospel. They could have a thunderstorm 1/4 mile away at 2pm moving their direction at a steady clip but the "forecast" says it's not going to rain until 3pm. Next thing you know it's raining buckets on them and they're surprised. Ummm, stick your head out the window or check a radar! and frequent deadly lightning strikes. Beach and Broward Counties this afternoon. lead to ponding or localize flooding in poorly drainage areas. across most of South Florida today. Good Wednesday Morning folks! !..local NWS says my area has a 66% chance for rain today..we'll see.....local TV met says now into the weekend central florida northward will be in between a HIGH in the gulf to our south and..an approaching cool front that will stall out just north of Florida..so inbetween will be where the rain coming..THIS time..wind direction will be off the gulf eastward..let this verify and play out huh..sure could use a couple days of rain etc..ive been missing the rains so far this week........................well Blogs COFFEE-TEA-COCOA will be ready when you get here..grab a cup-relax and talk here with us ok....have a wonderful day everyone!! John ive been noticing the tv weather each afternoon is mentioning rain by Zepherhills each day now..congrats up there ok..hope some finds my area LOL. JR it seems the TS is up in your neck of the woods right now..good luck getting some rain!! RAIN!!! Looks like about half an inch this morning. This looks much better then all of the 20-30% chances we've been seeing. And yes, I don't like the specific hour forecasts from the TV. Once they say it is gonna rain at 3pm today, they're already wrong; but folks hang their hat on that schedule regardless of what actually happens. One work buddy thinks that the 'future-casts' on his phone is exactly what's going to happen. How can 1 continue to believe that, day after day after day?!?!? in the low to mid 90s. Heat indexes will range from 100 to 105.
yes there sure was!! 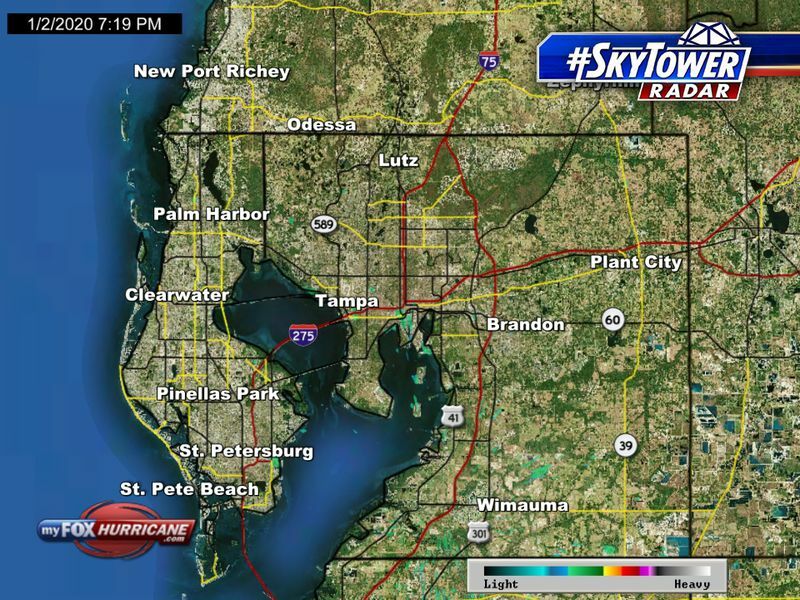 i finally got some rain wednesday from several scattered showers.hopefully today there will be some more....did you get some good rain down there st pete?? Good Thursday Morning Folks! !..well scattered shower and storms in the forecast once again and really favoring northern Florida,dont forget the umbrella.......well have a great day everyone! Scattered to numerous showers and thunderstorms are expected. Morning all. Busy, busy as usual. Glad to see you got some rain Largo. Looks like it's going to get wet for all at some time or another over the next week. StAugustineFL wrote: Morning all. Busy, busy as usual. Glad to see you got some rain Largo. Looks like it's going to get wet for all at some time or another over the next week. morning Aug, yes i hope all do get some rain,looks like good chances into next week yesss!! Same old story up this way. Did have .61 on Tuesday and .16 yesterday in the bucket. Really humid wearing me out!!!!!!!! AUG be extra careful up there when all that stormy stuff gets to you later today. Terribly hot today- not only no rain, no clouds. Had 2-3 waves of brief downpours with a few rumbles of thunder early to mid afternoon. Cloudy and "cool" here now. Gauge has .52"
Hang in there bills! Look at the WPC map. 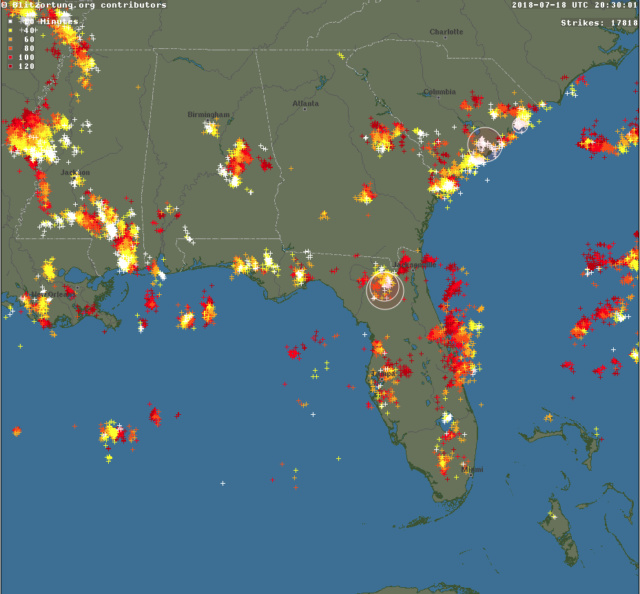 Entire eastern 1/3 of the US is lit up like a Christmas tree. Some areas will get much more, some areas much less but the general trend is RAIN for all! Thanks for the hope Aug! over Lake Okeechobee and the Atlantic waters. across portions of northern Palm Beach county and the Everglades. early evening through the weekend over the interior region. Lightning will be the main hazard. afternoon for the southern interior and Gulf Coast regions. Good Friday Morning folks and TGIF!! !.....well no Rain by me this early morning but forecasted rain chances are good again here so we'll see how it goes...........have a wonderful day everyone...now where IS the Coffee!!! 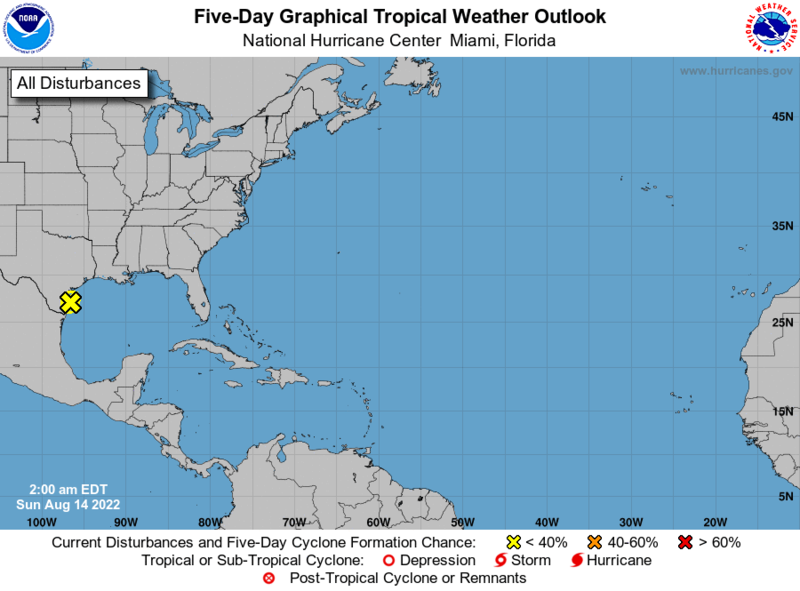 well i guess everyone is working..I notice here on the central gulf coast rain chances are high..60-70-80% depending whew..drive carefully folks but we need this rain. hiya Billsfan, whew met is saying we get these storms thru the weekend.I know what your going thru..i was like that several weeks ago..not a drop of rain,but now mother nature is making up for that long dry spell whew..off and on down pouring rain all day and NWS says a 60% chance thru the over night here.//but hopefully some of this rain will..get down into southeastern florida sometime soon!